360° cameras are just only to emerge as a new product category; there isn’t a huge selection to choose from as the technology is still in its infancy. You’ll find that the major camera producers like Nikon, Canon, Panasonic and Sony haven’t yet lined up any 360° cameras, mostly because they are still considered a very niche product with limited uses. Never the less, there are a few intrepid companies that are forging the path for 360° cameras and have released products in an attempt to get ahead of the game. I’ve rounded up the top 5 360 degree cameras that are available to buy right now and gone through all the available reviews for each one to summarise their strengths and weaknesses, so if you’re thinking of becoming an early adopter of 360° technology, this post should help you decided which camera is right for you. The Richo Theta S is a 360° capable of filing 360 video in 1080HD for 25 minutes. It’s made up of 2 lenses facing opposite directions, the images are stitched together by the internal camera software, so no manual stitching is required. The candy bar shape of the camera makes it one of the smallest and easiest to carry. You can upload 360 videos taken by this camera to Facebook and YouTube and you can transfer the video files straight from the camera to your phone without the need of a PC. Easy to carry and travel with. Very easy to use right out of the box. Cheaper than most other 360° cameras. Video quality is lowered once uploaded. Video stitching needs improvement – can appear too soft at the edges. Can’t share pictures straight to Facebook. Doesn’t fully support Android for video sharing. 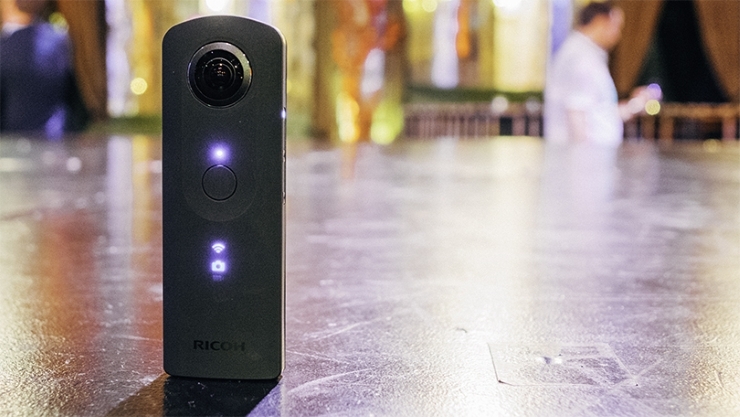 The Richo Theta S costs $350 (£300 UK) and is one of the cheaper 360° cameras that can film in 1080p HD. This still isn’t good enough quality to have full HD on a 360° video but its still decent. The small form factor makes it great for carrying around and the picture quality is excellent. All in all one of the better value for money 360 cameras available right now, just don’t expect crystal clear video footage. The Bublcam was developed off the back of a Kickstarter project, but unlike so many, this one actually got off the ground and managed to ship its product. 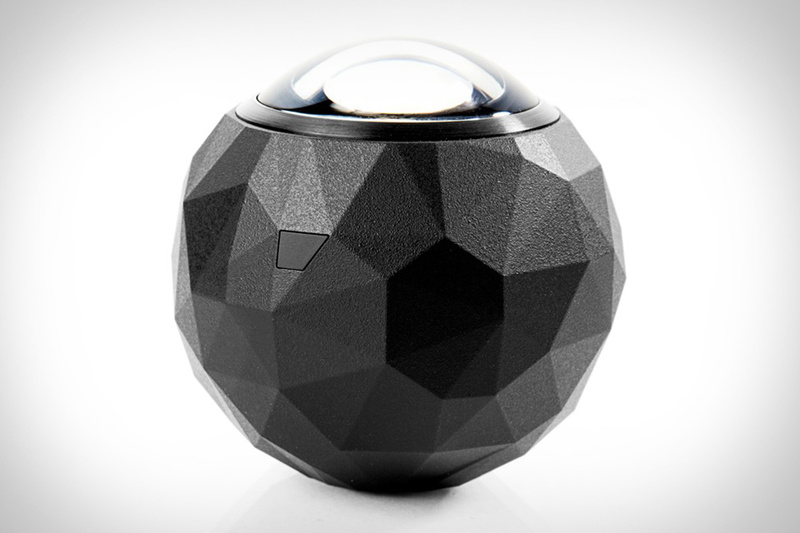 The camera is spherical and has 4 cameras pointing in different directions to capture 360° pictures and video. 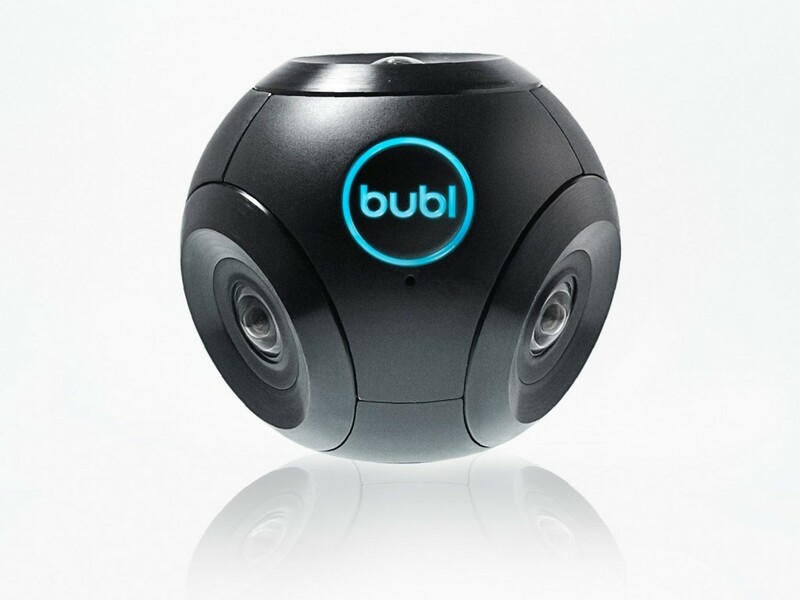 The Bublcam can capture 14 megapixel 360 images and record video at 1440p 15fps or 1080p 30fps. You can control the buble can with your phone by connecting to it as a WiFi hotspot and using the bublecam app. Bubl has a cloud storage network that lets you upload your media and share with others in the highest quality possible. Here are what reviews are saying about the Bublcam. East to use and to share videos and pictures. Highest quality video is only available at 15fps speed, moving objects don’t move smoothly. 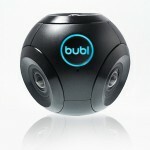 Bublecam is one of the higher spec 360 cameras available right now. The company behind it has gone a long way to creating an eco system where people can share their media in high quality, but the videos still suffer when uploaded to YouTube. The camera is easy to use and can be attached to a tri-pod for easy filming. Does all this justify the right price of $799? If you are desperate to get into a 360°camera then this might be the bes tone available, but it might be worth waiting for the video quality to improve in a later version. 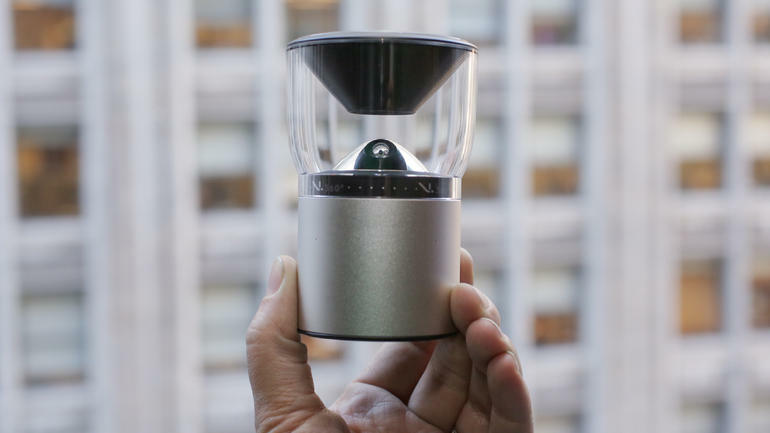 This strange looking camera (looks a bit like a mini blender to me) is the V.360. The waterproof and dust proof device bills itself as a 360°action camera. It has several sensors, such as an accelerometer and barometer so extreme athletes can monitor their performance in the greatest of detail. The camera can record in 1080p, but as you may have now realised, this isn’t good enough for high quality 360°video. There is no doubt space in the market for 360° action cameras, just imagine watching a 360 video of someone skiing down a black slope using a VR headset, I’m feeling the vertigo just thinking about it. This isn’t the camera to achieve that though; the video quality is too poor and the design of the camera makes it an unlikely choice for athletes to strap to their head like a gopro, especially when you’re paying a hefty $449 for the privilege. Hopefully the next version of this camera will improve on all fronts. Before I say anything about this futuristic looking device, you should be aware that it’s marketed as the first professional grade 360° camera, which means it’s designed for professional film makers with a huge budget. This $60,000 camera (yes, you read that right) is by far the best 360° camera available to buy right now. Obviously this is not a consumer product, so you’re probably wondering why I added it to this list. I did so because the specs of this camera is what is required to make truly immersive 360° videos and I believe the price of similar cameras will come down significantly over the next few years to the point where they are affordable for the general public. 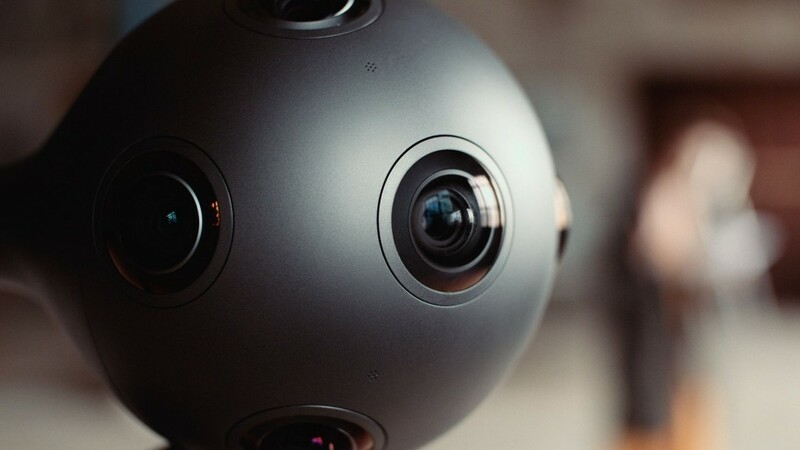 The Ozo is capable of filming full, uninterrupted 360° video in ultra HD 2K, it has 8 microphones to record total surround sound, the camera can be controlled wirelessly and can also be used to live broadcast. 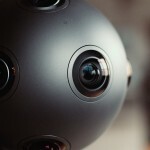 Nokia is hoping to sell this mega expensive camera to film makers who want to create high quality content for future users of VR headsets like the Occulus Rift or HTC Vive. As the technology becomes more mainstream, expect consumer product with similar high specs to become available, but for now we will have to make do with lower video quality. The 360Fly is another action camera designed to be attached to a helmet, surfboard or mountain bike. It’s spherical design and huge single lens looks eerily like the eye of a bug, which is probably where the name originates. The form factor of this camera certainly makes it easier to carry use and attach than other 360 action cameras on the market currently. The 360Fly can record 1080p HD at 30fps, which provides an average video quality. Design makes it easily portable. Compatible with most VR systems. This is another camera that you should only think about if you really want to be an early adopter of 360° action videos, although the $400 price tag of this camera makes it a more reasonable price than most at the moment. The 360 videos from this camera look rather poor quality when uploaded to social media, but this can be said of nearly all 360 camera at the moment. Bublcam Review - Is this the best 360° camera yet?